Obi-Wan Kenobi has come a long way. Most of us remember him from Star Wars: A New Hope. We know him as the wise, old Jedi Master who helped Luke take his first steps to become a Jedi Knight. We remember his subtle use of the Force on Tatooine and they remember his gallant confrontation with Darth Vader. Some people forget where it all started for him. They forget about his dangerous adventure as a Padawan. They forget about his valiant attempt to liberate Naboo from the forces of the Trade Federation. And, they totally forget about his elegant lightsaber from his younger years! The Black Series didn't forget! They crafted this collectible lightsaber that's inspired by the original lightsaber wielded by the one and only Obi-Wan Kenobi. This Obi-Wan Kenobi Black Series Force FX Lightsaber is an officially licensed lightsaber modeled after the one from Star Wars: A Phantom Menace. 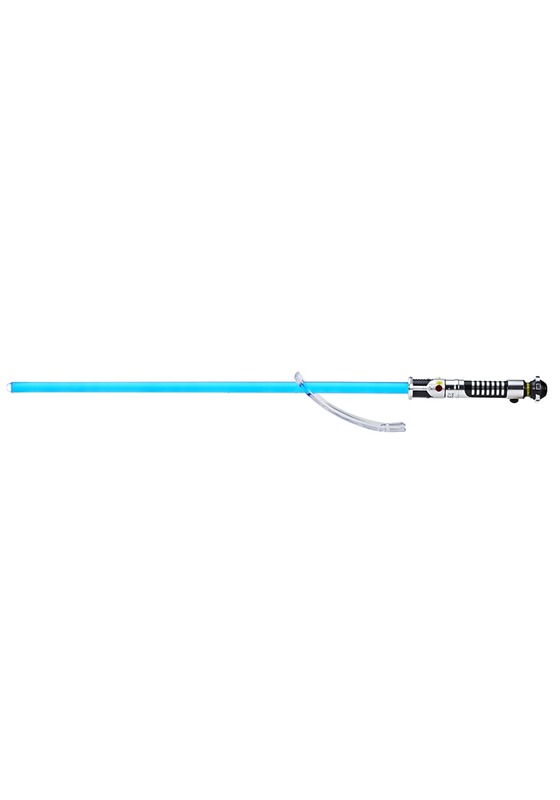 It comes with a simply designed handle that is easier to grip than some of the other collectible lightsabers. 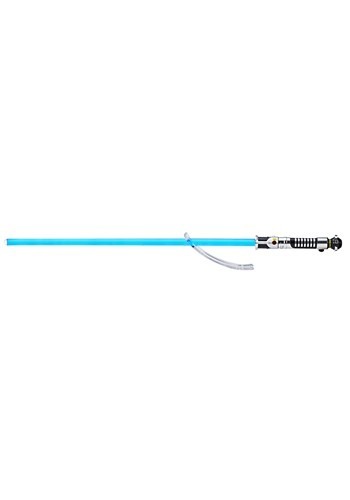 The saber, with blade included, measures a full 43 inches long and glows with a brilliant blue light when activated. It makes real sound effects from the movie when swung and runs on 3 AAA batteries. It comes with a display stand, so you can proudly display it when you're not practicing your Jedi Knight moves. This Obi-Wan Lightsaber also puts the finishing touch on any authentic Jedi costume. It will be like a childhood dream come true when you walk into the party wearing a Jedi Robe and wielding this iconic lightsaber in your hands!